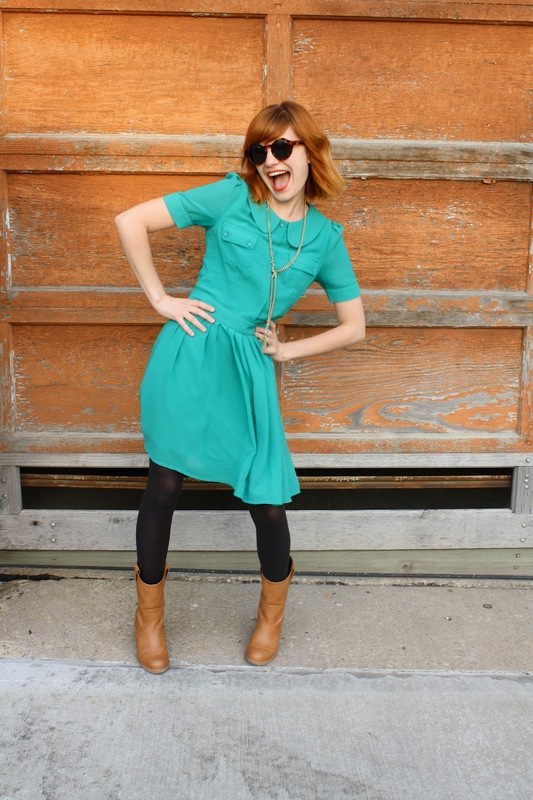 This green dress is darling, esp with your red hair and tawny leather. Love that sparkly gold necklace too! those shades are awesome! reminds me of something a character would wear in a Tim Burton movie! Adorable! I'm a natural redhead and I flock to that color too. It really brings out the vibrancy of my hair. Love the color of your dress, the collar and breast pockets. This dress is simply charming on u! Love this dress on u..simply charming! That last picture is my favorite! They're a great pair of sunglasses. I especially love your dress though. I want one like it! The color is beautiful. 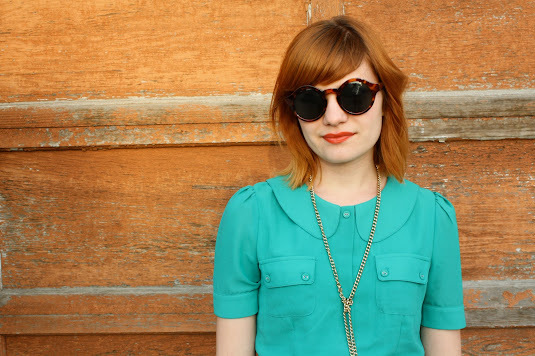 the color is amazing, love those sunglasses! I must tell you your bangs look so cool in these pics. If my hair would cope with me, I'd cut bangs just like that!